Race glove in soft goat leather waterproof treated,reinforced palm, warm and breathable, opti mal Thininsulate thermic padding. Pre-formed glove to give fiexibility, comfort and sensitiveness, to avoid the hand tirirng out and for a stik steady grip. 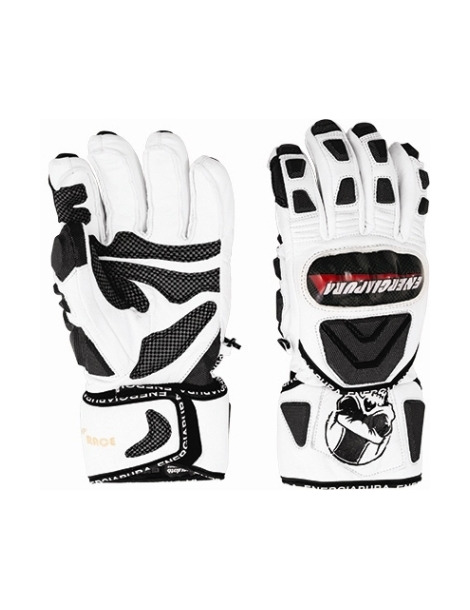 Knuckles protection V-tek in carbon fabric, steady resistance and impact's energy absorption. Protection's bu­mpers on the hand back, knuckles and fingers, abrasion resistant fabric and excellent fiuency. Protection bumper also for the wrist. 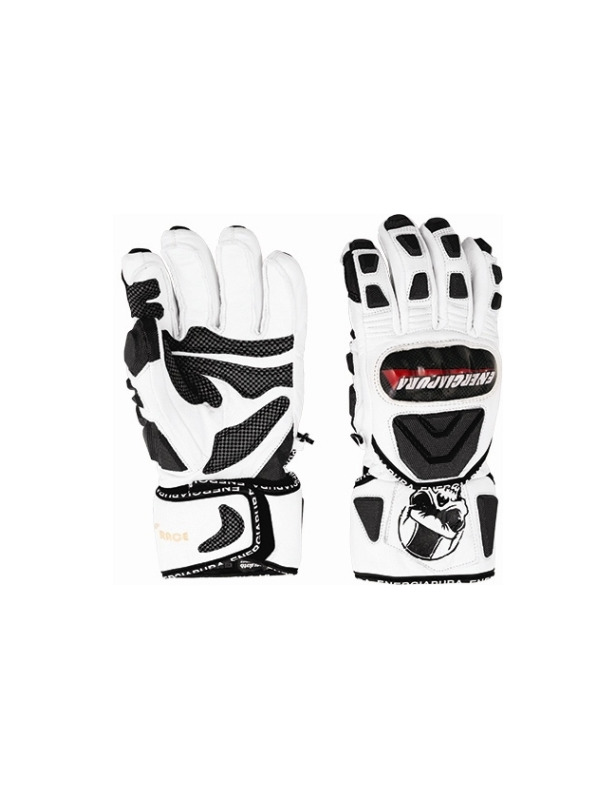 Easy and speedy positioning of the forearm protector, perfectly integrable with the glove. A full open cuff and an internal wrist in Neoprene allow a steady and comfortable use with the forearm protector. The complete protector's adherence in the inside cuff give a safe and reliability during use.